According to David Yeago, the church always finds herself gathered by the word addressed to her by an apostolic messenger. In Lutheran ecclesiology this means that the universal communion of the church is historically manifested only if there is a universal pastorate. This pastorate is a ministry that speaks the word of God to the people of God in order to gather the faithful into a (one) historical communio. Yeago, in making these points, states that “gathering” in ecclesiastical terms means to “give concrete historical form”. The gathering is not (only possibly) an invisible community, but it is a community that takes concrete shape and form as it gathers together around such things as the sacraments, which are administered by and through the universal pastorate. The church gathers itself around visible forms of the gospel and in so doing becomes a visible reality, a concrete and historical form. Yeago believes that if the Lutheran Church lives its life with a view to eschatology some things would be different. The urgency of having and needing a magisterium would become apparent because decisions about the truth of the gospel would have to be made for the sake of the gospel itself and truly for ‘the life of the world’. These decisions can only be made by a magisterium because of its binding nature. Current Lutheran Church polity does not lend itself to such authoritative decision-making group or process. The problem lies in the mission focus of the church. The mainline Lutheran churches in Europe and North America envision themselves not as proclaimers of the gospel to a dying world but, Yeago claims, actually as producers of religious consolation to the population. Operating within such a mindset makes a magisterium look quite different than one that presides over a church that operates with an ecclesiology of witness. If the church sees itself as a service provider, its first obligation lies not in proclaiming the gospel of life to a dying world, but instead to remain available and ready to the population. A magisterium hampers such a service providing approach. Yeago provides us with a totally new angle on this issue. His claim is one that relies not on history but upon the practicalities of maintaining a visible and powerful church authority. A shift in mission focus creates a vital need for a true apostolic magisterium within the church. As the end of the world approaches (or indeed, simply as the church continues to exist in this world), important and final decisions need to be made to preserve the gospel and doctrinal purity of the church. For Yeago, the Petrine function of the church (the promotion or preserving of the oneness of the church by a symbol of unity) is a fundamental necessity to direct the church towards its ultimate goal: the return of its triumphant king, Jesus Christ. 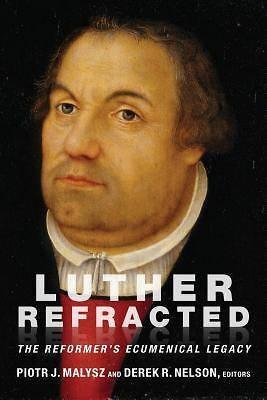 He concludes by noting that a Lutheran Church that operates upon a Reformation account of teaching authority (a magisterium led by chief pastors and parish clergy, always with an appeal to the discernment of the people) would undoubtedly be able to dialogue with Rome and its magisterium. The only way that this could happen is if the Lutheran Church reorders itself towards the eschatological mission instead of the mission of service provider. Yeago validly points out that a shift in mission emphasis would lay bare the necessity of an office that functions to promote and preserve the unity of the church symbolically. This symbolic unity is encapsulated in the visible unity that the “apostolic succession” Lutherans find so vital to the church’s claim to apostolicity. So once again our discussion finds itself dealing with the question of a visible element of apostolicity. As has already been noted, this is not the only issue for this second group of Lutherans. The gospel, in its truth and purity, is of the utmost importance for the apostolicity of the church. Is this whole talk of a visible element truly necessary? The answer for the “apostolic succession” Lutherans is that a visible symbol of unity, as a representation to the world of the inner and invisible unity, is needed as a clear witness of the church’s oneness, its catholicity and its apostolicity. The focus of the church, and her eschatological mission, is the ministry of the Word and Sacraments. The concentration upon this ministry, as it is rightly emphasized, does not minimize the importance of a visible, external sign and manifestation of the unity of the church. If the Lutheran Church is to once again realize the need for this visible unity then why not resort to the historical structures once used faithfully to perpetuate the desired visible unity? Braaten strongly claims that when the Reformation churches decided to (or were forced to) break with the episcopal structure they too readily cast aside a tradition that extended too far back throughout the history of the church to simply be labeled “an erroneous church development”. Hefner’s raising of the anthropomorphic aspect of a visible apostolicity leads us to consider another aspect of this approach: an important anthropological study of the laying on of hands written by Norman Nagel. The Old Testament writers knew that a hand was to be found at the end of an arm and at the end of that arm stood a person. What the hand did, the person did. Consequently what was done by mandate of the Lord by a person’s hand was actually done by the Lord. This was the case in Old Testament ordination. Even though Christ did not originally send his apostles with the laying on of hands, this does not mean that such an act was unimportant and not in use within the New Testament church. According to Nagel, evidence of the laying on of hands for ordination is found in the Book of Acts 8:18, 9:17 and in 1 Timothy 5:22. What is important is the two-fold element of ordination: the promise of the Lord and the laying on of hands. In an ordination, prayer and hands do not act alone, but they act and run together. No one became an apostle unless the Lord made him one. No one could put themselves into the office: that was the Lord’s doing. This act was accomplished with the laying on of hands. No one can lay hands upon themselves or give this gift to himself. The promises of ordination go with the mandate; lose the mandate of the laying on of hands and the promise is thus lost as well. Following this line of argument, Nagel makes this claim: Augustine is not the final word on the sacramental criteria for the church. It has become common within some Lutheran theology to claim that the laying on of hands is simply an adiaphoron at ordination, neither commanded nor forbidden, as witnessed earlier in Pieper. According to Nagel, to reduce this visible act to an adiaphoron you would have to cut off the hand and by itself, pronounce it an adiaphoron. As was alluded to earlier in the essay, and as a way of concluding: the need for the church to structure itself in an episcopal way arose during the 2nd and 4th centuries as a response to Gnostic attacks. There was an obvious need to unify the church and to ensure its apostolicity. The way this was done was through both apostolic doctrine and apostolic ordination/consecration. It can readily (and easily) be claimed that the needs that existed then still exist today. The special, visible offices and functions, which assist the church in demonstrating her holiness, catholicity and apostolicity, are needed in the 21st century as much as they were needed in the first four centuries of the New Testament church’s existence here on earth. David Yeago, “The Papal Office and the Burdens of History: A Lutheran View,” Church Unity and the Papal Office, ed. Carl E. Braaten and Robert Jenson, (Grand Rapids, MI: William B. Eerdman’s Publishing Company, 2001), p. 105. Philip Hefner, “Can We Have Bishops—Reformed and Evangelical?” The New Church Debate, ed. Carl E. Braaten, (Philadelphia, PA: Fortress Press, 1983), p. 82. Norman Nagel, “The Laying on of Hands,” All Theology is Christology, ed. Dean O. Wenthe, William C.
Weinrich, Arthur A. Just, Jr., Daniel Gard, and Thomas L. Olson, (Fort Wayne, IN: Concordia Theological Seminary Press, 2000), p. 244.